SFO Airport Shuttle Service | Go Directly, Save Time and Money - ABC Shuttle Service | SFO & Oakland Airporter | Cheapest Rates, Very Reliable, Easy Online Booking! 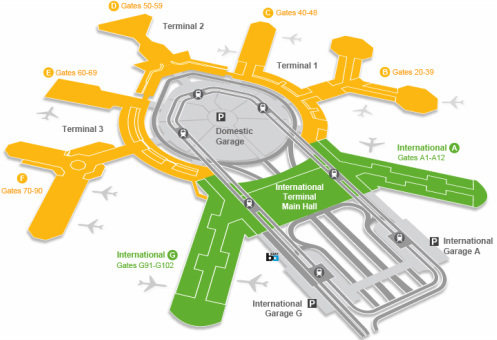 SFO- San Francisco International Airport is the 22nd largest airport int he world and second largest in California (after LAX) located a little over 10 miles south of beautiful San Francisco proper. SFO Airport serves has flights leaving for many North American destinations and serves as a major gateway to both Europe and Asia. While visiting city wonderful city of SF , we recommend visiting just some of that this rich city has to offer. Be sure to visit the Pier 39, which is filled with tourist attractions for the whole family including shopping, dining and much much more. While there you can take a ride in RocketBoat, a fun adventure that the whole family is likely to enjoy while visiting the waters of the SF Bay in a speed boat, browsing the over 110 speciality shops or just watching the Sea lions from the pier.